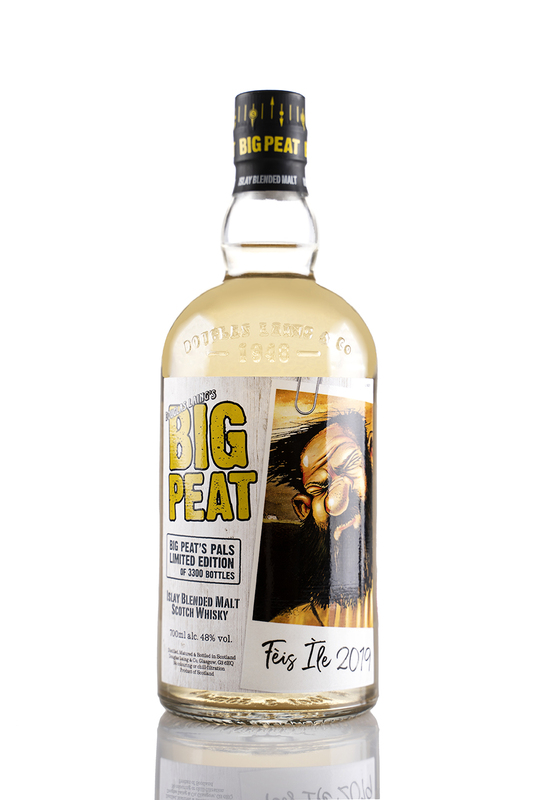 HomeNew releasesBig Peat Feis Ile 2019 announced! Big Peat Feis Ile 2019 announced! Douglas Laing & Co has today announced their highly anticipated Big Peat Feis Ile 2019. 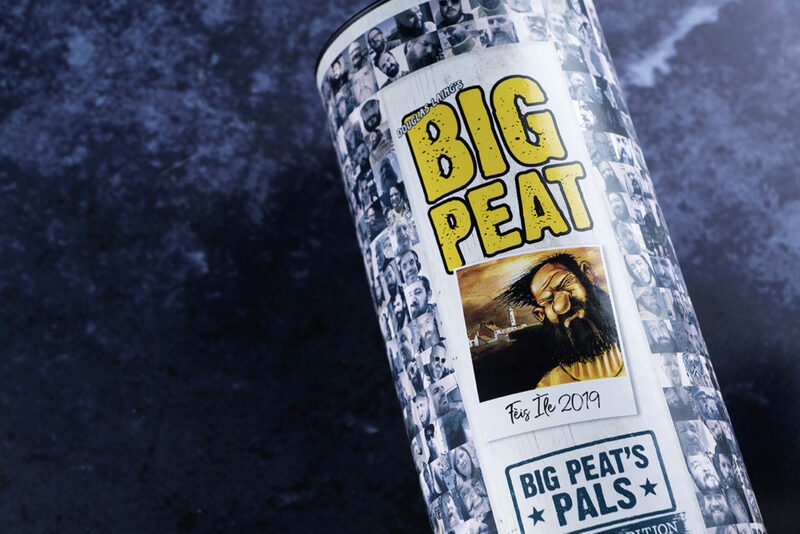 This year’s edition is called Big Peat’s Pals and the tube itself consists of 400 photos of Big Peat fans from all over the world. As usual the whisky itself consists of a blend of single malts from, among others, Ardbeg, Bowmore. Caol Ila and Port Ellen! This is another exciting release in the Big Peat brand in 2019 when celebrating 10 years since it was introduced. 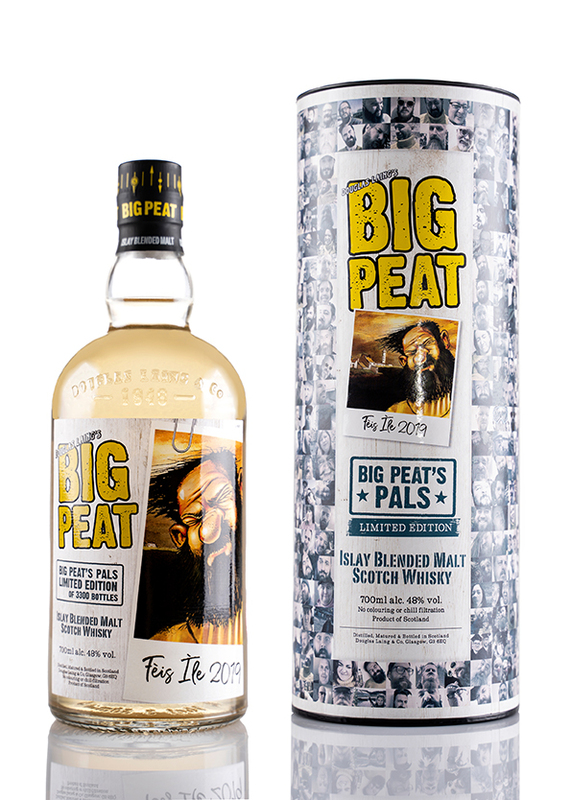 Other releases has been a 10 yo limited edition and the oldest release to date Big Peat, the 26 yo Platinum Edition. Commenting on the release, Cara Laing (Director of Whisky and third generation in the family business) said: “By marrying together a fine selection of our preferred Single Malts, only from Islay, we truly believe we have created the ultimate taste of Islay in Big Peat. His latest limited edition, the Feis Ile 2019 release, pays homage to his friends the world over, over 400 of whom feature proudly on the gift tube. This year, we celebrate 10 years since my father dreamt up Big Peat, and our extensive plans will ensure our Big Islay Pal celebrates in style all over the world! 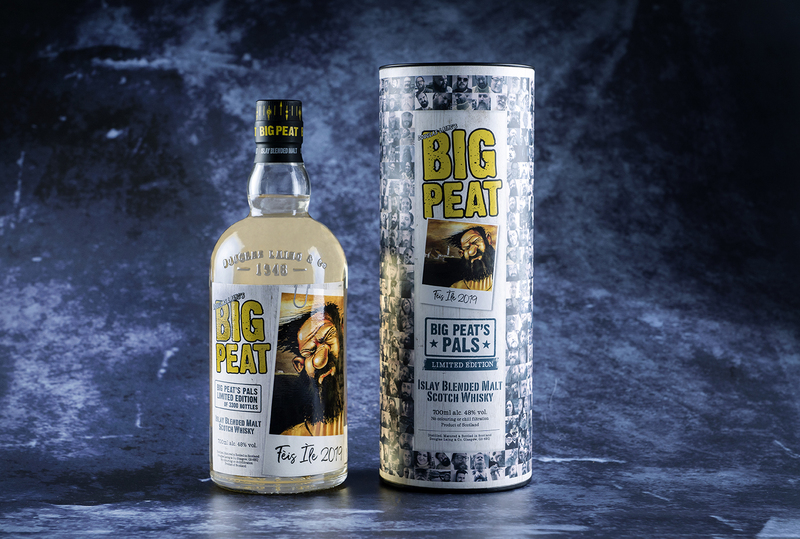 In line with the family philosophy, Big Peat’s Pals Feis Ile 2019 Limited Edition is not chill filtered, offered without colouring, and bottled at high alcohol strength of 48%. Just 3300 bottles will be available globally, priced in the UK at £48.99. Further details of Big Peat’s online birthday party will be announced on his Facebook page. the Macallan’s ”Make the Call” advert banned! 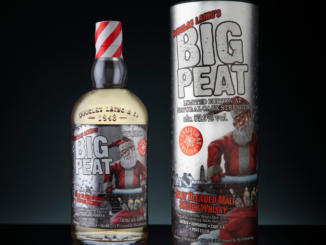 Big Peat Christmas 2018 Limited Edition!